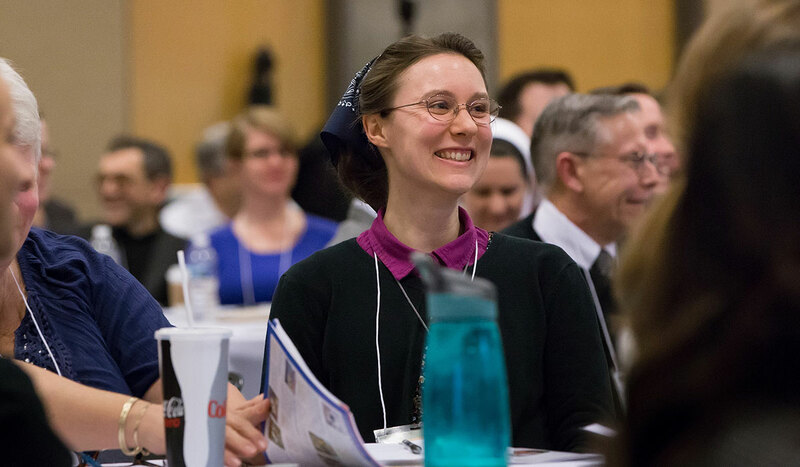 Hundreds of clergy, religious, and lay ministers from around the country gathered at Catholic University earlier this month for a symposium discussing Blessed Paul VI’s writings on sexuality and family life, as laid out in the landmark encyclical Humanae Vitae. 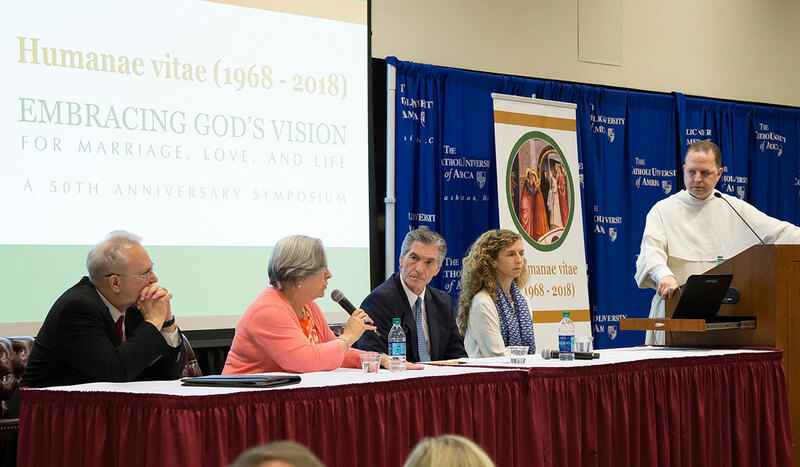 The symposium, “Embracing God’s Vision for Marriage, Love, and Life,” commemorated the 50th anniversary of Humanae Vitae. 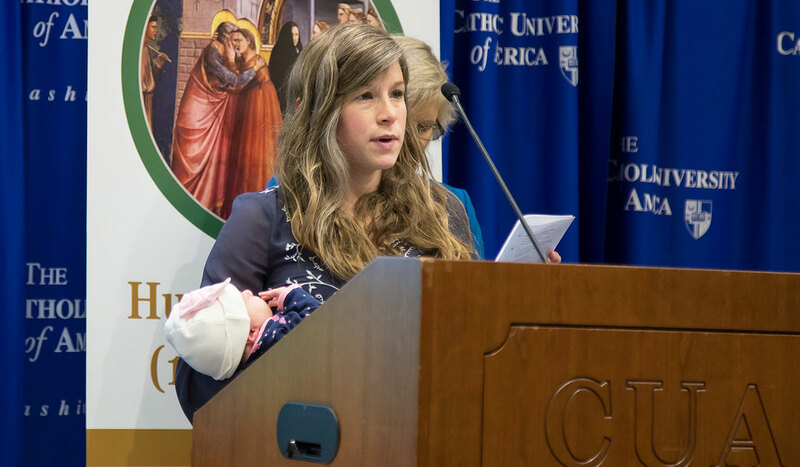 The event, held April 4 through 6, was sponsored by Catholic University and the U.S. Conference of Catholic Bishops’ Committee on Laity, Marriage, and Family. “We still seek the cure for those wounds,” he said. Humanae Vitae is probably most known for its stance against the use of contraceptives. 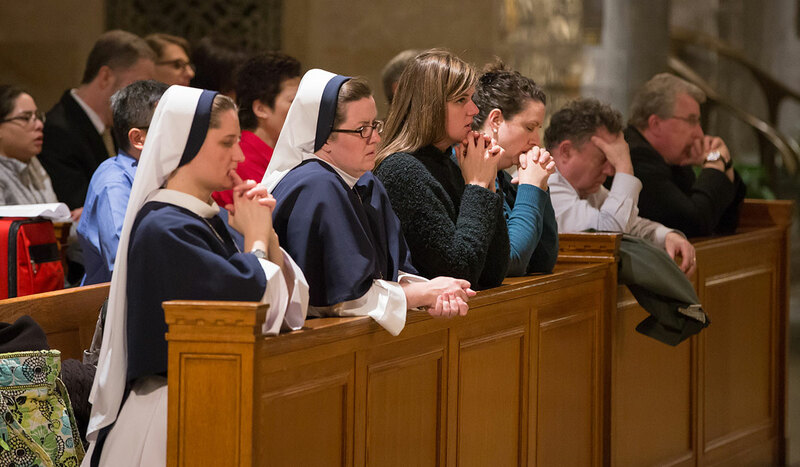 Today, the Catholic Church stands out as one of the only institutions in the world that considers contraception to be immoral. 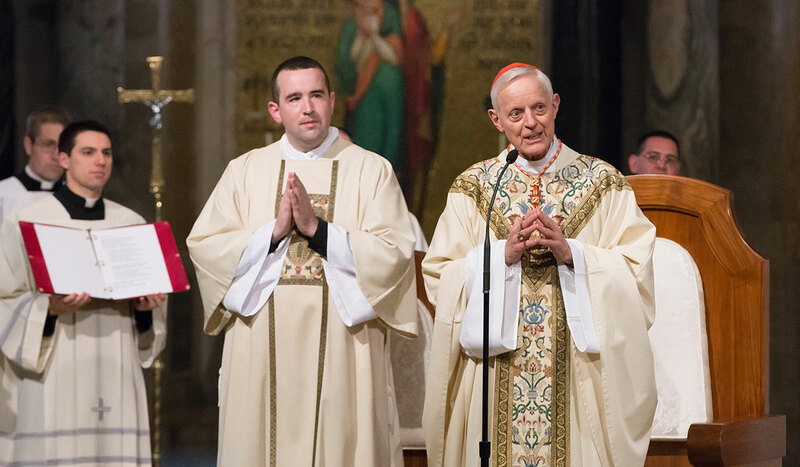 Though many people view the Church’s teachings on sexuality as “an unhealthy thorn in the side of enlightened culture,” Archbishop Chaput said the teachings are actually a reflection of the Church’s belief in the dignity of the human person as a whole. 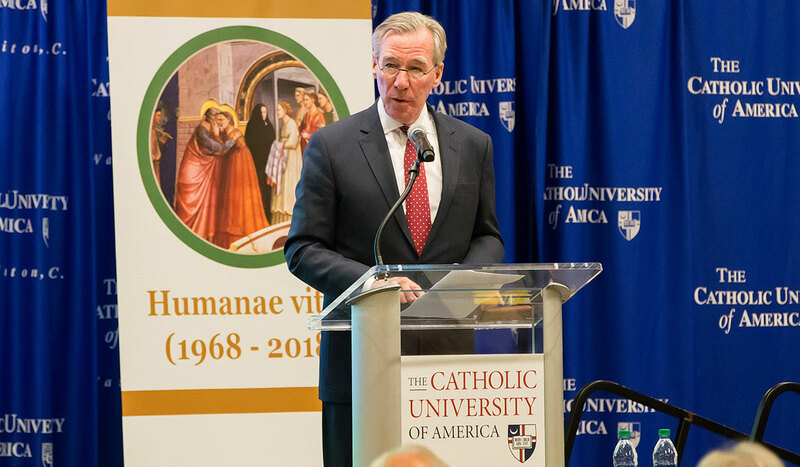 “We care for the poor and work against injustices like human trafficking for the same reasons we believe that sexual love is reserved for marriages between men and women who are open to life,” he said. 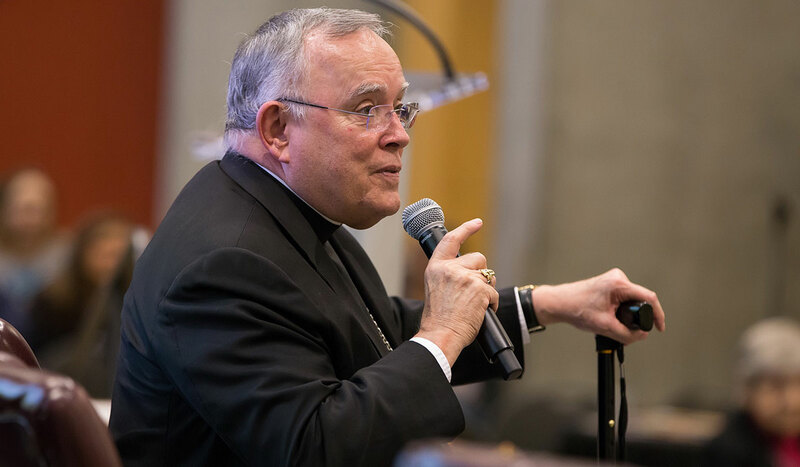 Archbishop Chaput also reflected on the prophetic nature of Humanae Vitae, which predicted that widespread use of contraception would result in the rise in infidelity and immorality, and a loss of respect for women. 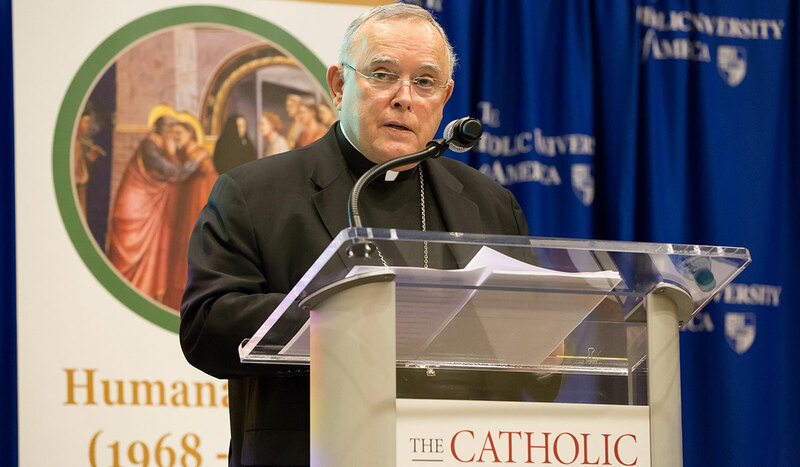 Paul VI also warned that governments might use contraceptives as a form of population policy and that human beings would be led to believe they have “unlimited dominion over their own bodies.” In the 50 years since the document’s publication, Archbishop Chaput sees evidence that many of those predictions have come true. 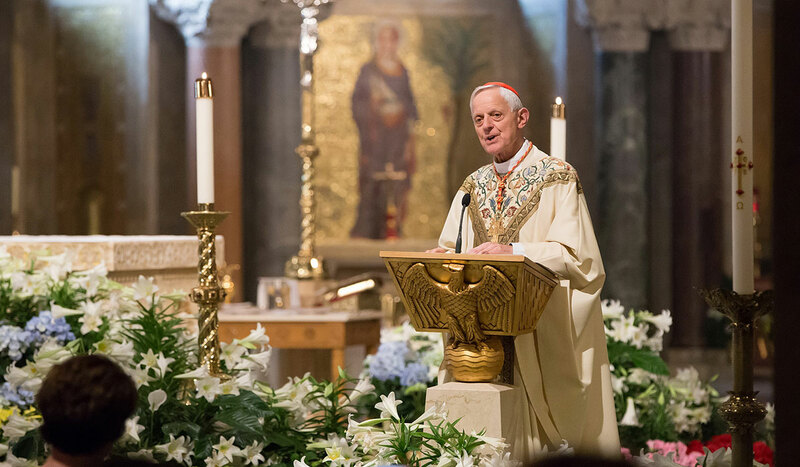 The archbishop’s keynote was followed by two days of in-depth discussion of Humanae Vitae, including doctrinal, philosophical, and scientific support for the teachings. 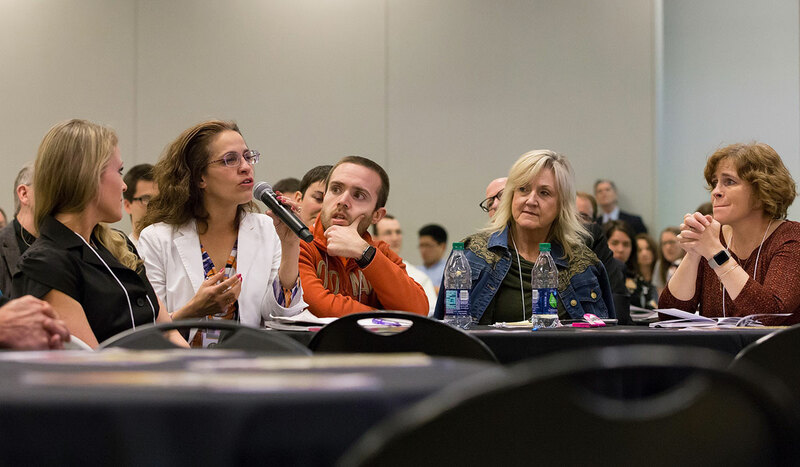 On the morning of April 6, scientists from the University of Utah, Georgetown University School of Medicine, and the Marquette University College of Nursing spoke about the growing support for natural family planning science and ways it can be promoted within the medical community. Psychologist Suzanne Hollman, of the Institute for the Psychological Sciences at Divine Mercy University, spoke extensively about the psychological effects of hormonal contraceptives, which include an increased risk of depression, anxiety, and other symptoms, while Kathleen Raviele, a medical consultant at Marquette University, explained how natural family planning methods offer women a way to understand their bodies in a holistic way, which can help them find better treatment for medical problems. 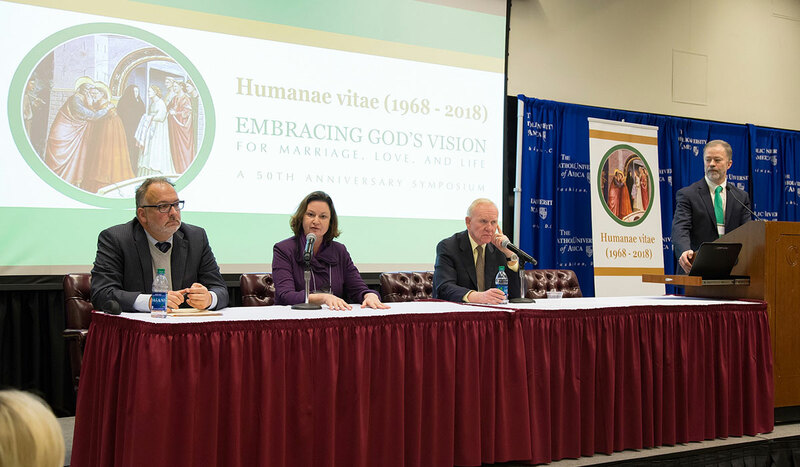 That afternoon, speakers addressed how the teachings of Humanae Vitae can support families, including couples who are experiencing infertility, and ways in which the Church can begin to heal after decades of discord surrounding teachings on sexuality and marriage. 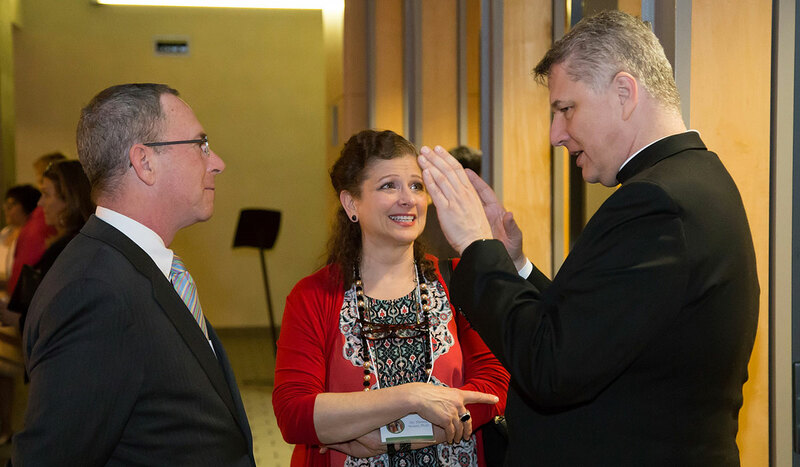 Theresa Notare, head of Natural Family Planning for the USCCB, spoke about the challenges faced by many diocesan family life ministers when it comes to educating Catholics about natural family planning in their dioceses.